Until the late 70's, early 80's, there was a building in the city of Euclid, on Euclid Avenue, just West of E. 260th. (where the current retirement home is, on the south side of Euclid Ave) I remember relatives saying it was "the nut house" and I think it was the old Ridgecliff Psych Hospital, before it became Laurelwood and moved to Willoughby. Anybody able to offer any insight to me? Second part, also on the east side. Warrensville Heights, where the current Metro Health Skilled Nursing facility is (on the same property as Tri-C East). I have heard conflicting stories on this property. Is this the old Sunny Acres Hospital, which treated TB? The old nurses dorm (so I've been told) still stands, and from the outside, looks like it's in pretty bad shape, and is supposedly haunted. Any truth to that? Third (and final) part... across the street from Tri-C East (where the Armed Forces Recruiting building is). There was (until 2000 or 2001) a group of buildings that was possibly the forerunner of the County Hospital which I've been told treated the poor, and psych patients. The buildings looked reallllly creepy before they were torn down. Is the info I got accurate? Any insight you could give would be appreciated. Rachelle and the Guard, originally uploaded by Creepy Cleveland. 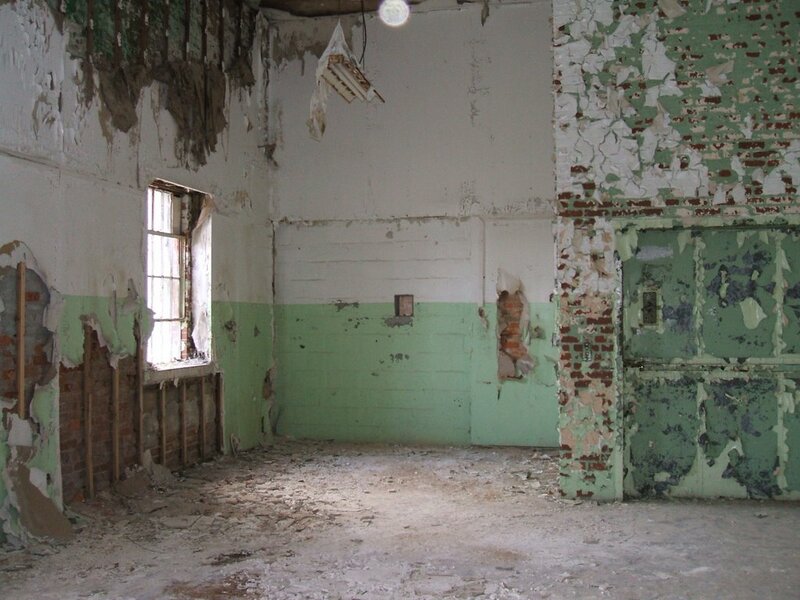 This photo was taken at Mansfield Reformatory a week ago...friday the 27th. We felt a very rapid temperature drop and a very distinct presence moving past us (in solitary)...i snapped this photo....other than cropping the top off the pic its untouched. A couple months ago I had to write a 10 page paper on the melon heads for a college class, yes, a college class. For the paper I actually had to go out to what was said to be the sight and take some pictures to show that I was there. Anyway, thank-you, your sight was a big help. Now for the real reason of this e-mail. From this sight and others like it, I have heard people say that this house is on both Wisner Rd. and Windsor Rd. I was wondering which is true. 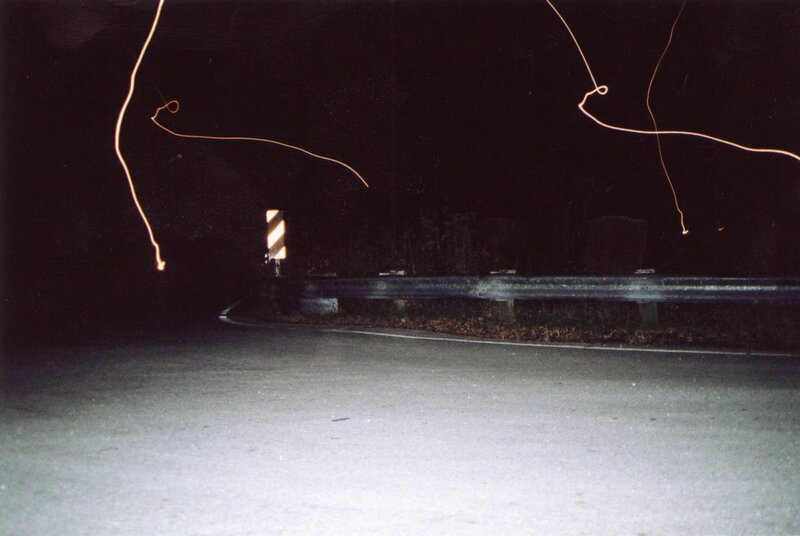 Also, when I went to "the sight"on Wisner Rd. there were three separate bridges, one that you would cross coming down hill from King Memorial Rd. As you would go on the road kind of splits off, the main road goes left while a dirt road branches off to the right. On this dirt road there are signs about a bridge being out 27 miles down the road. Anyway, right as you turn onto this road there is another smaller bridge, then as you travel less than and 1/8th of a mile more there is one more small bridge with signs saying that the load capacity of the bridge has been lowered by 10%. About 30 feet after the bridge, the road is blocked off with a bunch of wooden barriers. 10 feet before that though is a driveway blocked off by two gaits about 3 to 4 feet high that swing together and lock. This gait is only to keep cars out, but does nothing to prevent people from stepping over or walking around it. This driveway split off almost immediately after the gait one went around to the side somewhere, and one seemed to go up to the hill to what I guess would be the house. Now, I have three questions. Which of these three bridges is cry baby bridge (If Wisner is the right road, and not Windsor)? Is the dirt road that veers off to the right, the right road? And is the house the right house, or is there another empty house further along the road, somewhere past the road block? Any of these that you, or anyone else could answer would be greatly appreciated. I've been to Gore Orphanage or at least what's left of it. I went once during the day and once at night. Now let me tell you, it's fine during the day but at night it's one scary place........and I didnt even get out of the car. My mom, uncle, little sister, and two little cousins got out and started to walk into the woods, about 1min. later they all came running back to the cars, they all said they saw the same exact thing......2 eyes glowing at about chin height to my mom and uncle who are about 6ft tall. They all said they saw the same thing and it was so scary it made my little cousin who is 7 cry. But they all said as soon as they saw it it went away and they also said it could not have been an animal (most likely a deer because of the height) because when it went away it was silent there was no noise at all! Pretty Scary Huh? You should go there. I live in Mentor Ohio right next to Kirtland and have heard many stories about the melon heads. But hears the story that makes most sense to me . Dr.Crowe is really Crowestein and he was a scientist for the government who had a beautiful wife. 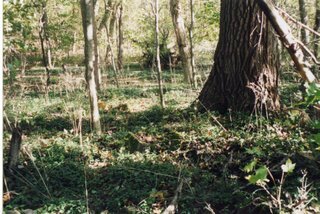 They live back in the secluded woods of Kirtland hills. They had children that were mentally and physically ill. They had very large heads and "slow " so to speak. One day his wife died and caused the melon heads much anger and despair so they went on a rampage killing them and Dr. Crowestein and their ghosts still roam the woods angry about the loss of their mother. I have personally gone what we call melon head hunting the first thing you have to know is that people actually live back there and it is private property. Second that Wisnor road the road that you are supposed to go down is closed half way and is split in two. The Wisnor road that you take to get to crybaby bridge is not off of mentor road it is on the other side. Third is that it is illegal to park back their so you might want to do it in the summer time so that you can park your car someplace else and walk there. But if you do not want to actually get out of the car but still want to get chills you could go to crybaby bridge. 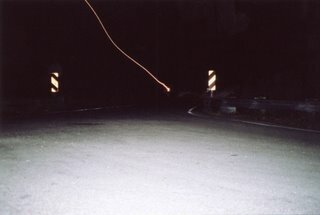 Once you are at crybaby bridge you are supposed to park your car half on and half off the bridge roll down the window and shut the car off at midnight. you are supposed to hear at first just the rushing of water but then that picks up into wheezing then scratching on your car comes and before you know it all that stops and their is only the faint crying of a baby in the distance. I am only 13 years old, so yes I am young, even though I look to be about 17, and I know that this site is called Creepy Cleveland, but I must say something; Oregon has melon-heads too. At least, a few. It was two years ago when I was in 6th grade, and I had just moved to Philomath so, naturally, I was exploring on my bike. I rode past what the kids at school said used to be an old chemical plant, and intrigued (and being a stupid but curious 11 year old girl), I went inside. Made of rusty metal, big as a cathedral, and stank like sewage. Had a flashlight, nothing more. Began looking around, checking things out. It was strangely clean for being abandoned for as long as it had been. I ventured through a small space in the wall and entered what appeared to be a hidden compartment of sorts. And in it sat what seemed like a small child. But when it looked up at me... it was... twisted. There was something wrong with it; it's head was too big, or it's body too small. I reached out to touch it and it drew back, baring what appeared to be long, razor-like teeth. Naturally I got out of there as fast as I could, and I ran down to the police station. They told me sternly that there was no such thing as what I was describing, and the more I talked the angrier they got. They let me off with a warning, and they told me that if I ventured by there again they would have to take me downtown. I asked a few locals, Ms. Wooder, Tony, my best friend, and Old Man Johnson (he hated it when we called him that), and all of them seemed too scared to talk about it. Almost like they were forbidden. http://otherworlds.homeip.net/creepy/ - Short lived, but a great experience. A site visitor, Mark Budnick offered to give me hosting space on his server! While never charging me, he put up with some heavy duty traffic during Halloween season of 2002. Mark rules. http://creepycleveland.neopages.net - This was kind of a long story. In mid October, 2002, while trying to get off of Mark's server, I started looking for a new host, I found Neopages. They were unique in the fact that they offered free hosting, with a catch. You must have an established page already and be willing to put your page up for a vote by the current members. They stress originality and style. Well...I figured I'd give it a shot and entered an application. After getting beat up by some of the critiques, I figured I didn't have a chance. Then - lo and behold - I got accepted!! See archive.org's screenshot. Unfortunately, the community within Neopages bred some contempt from hackers. The entire host got hacked. Many pages were lost and had to be restored from backup. A couple months later, the server the site was hosted on got hosed. Bad luck? Indeed. Creepy Cleveland was in limbo. 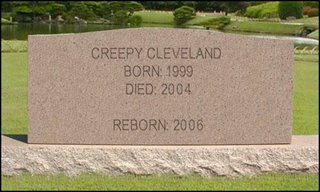 http://creepycleveland.net - Until now, this is the most recent version of Creepy Cleveland. After the neopages fiasco, I did have the site back on neopages for a short time, but I knew I needed to look into something more permanent. About this time I started having a hard time keeping Creepy Cleveland updated and interesting. After thinking it over for a long time I made the decision to shut it down. I was afraid the final move lost too many visitors and traffic to the site ground to a halt. I posted a message to the few people that managed to keep track of the site address, zipped up the files and closed the door. A few months later I got an email from a fan asking if I'd like for him to host the site. Halloween 2005 was coming up and I had received a few emails from people asking if I was ever going to come back. Hmmm.... somebody else host Creepy Cleveland? Again? After thinking it over, I thought the site would do more good online than rotting on my backup hard drive. Billy Meade took over hosting and has kept the page available until now. Billy rules too. 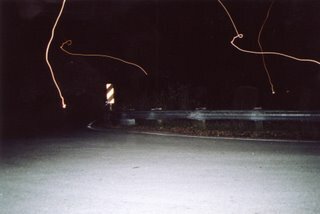 http://creepycleveland.blogspot.com - The latest and (hopefully) greatest incarnation of Creepy Cleveland. Born on Halloween 2006, I've turned the stories (which were by far the most popular part of the site) over to a blog format. I'm hoping it will make questions and comments on the stories easier to make, answer and follow. The backed up version of the old site is getting a slow makeover in the hopes of becoming and back-end host to all the old content, new investigations, and file storage. 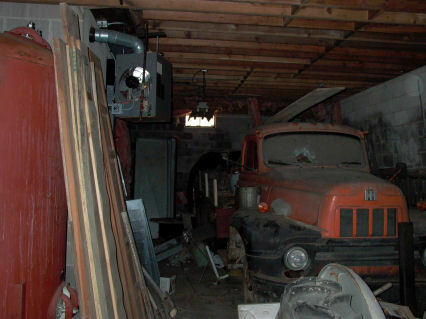 If you care to rummage through the mess, check out the Creepy Cleveland Archive. So there you have it. Practically every version of Creepy Cleveland that's out there, in one form or another. I've already sent an email to Billy asking him to post a redirection link on creepycleveland.net and I'm hoping to talk him into letting me grab the domain once it expires. A final piece of advice, if I may offer it, is to bookmark http://go.to/creepycleveland. Unless that redirection service goes down, that address will always point to the correct address. UPDATE 2009: I'm dropping the Blogger address (http://creepycleveland.blogspot.com). I've secured creepycleveland.net and am redirecting all traffic to that address. This past weekend I went on a Urban Legends Tour of the Cuyahoga Valley National Park. We stopped at the Frazee House which belongs to the park system and is located off Canal Road, just south of the visitor's center. 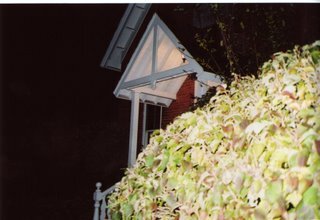 As we roamed around the exterior of the home I snapped some pictures...I later got home and enlarged them and changed the brightness to see if I saw anything unusual...Do you see what I see? Supposedly a Native American Indian was held at this home as a slave and was killed. By the way, Chuck, I was wondering if you were going to post anything on the Rider's Inn in Painesville. I know the ghost of "Mistress Suzanne" may not be the creepiest, but she sure is well known. The Inn itself is very interesting. Anyways, just curious. And what about Squire's Castle? 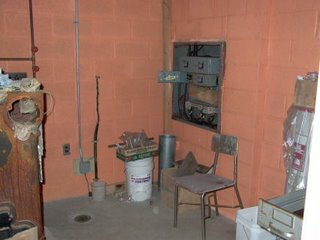 Is there really an access hole to the basement? They say the basement is filled in, but I've heard the rumors of a "way" in. I've been there a million times and don't see how there could be. The trails behind the castle are winding and hilly and I've seen area's where people have "partied" or held ritual's. Probably just some stray teens being bored, but there could be anything below those grounds. Castle's are known for secret corridor's and hidden rooms. I know the story and how there was to be a much larger "main" castle to be built behind Squire's. But it's still a fun idea to imagine that there is something below the forest floor. 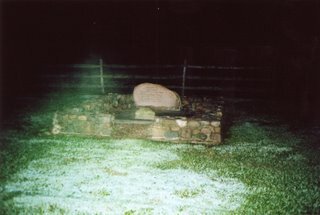 When I developed the roll of film with the Witch Grave pics, the associate at the photo op. explained that a couple of photo's didn't develop. Well the next week, I took the negatives to a different place and had them develop just the strip of film that didn't show the first time. 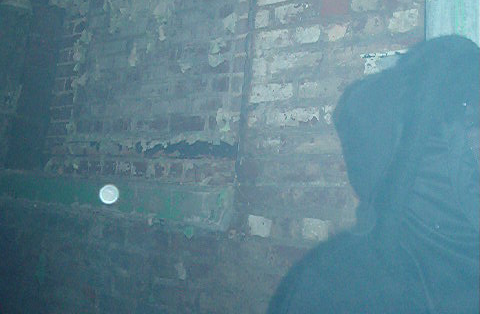 I was floored to find this picture of what appears to be a skull-like ghostly apparition. Like I said before, it was a clear night. As a matter of fact, take a look at the sky in the previous witch grave photo - YOU CAN SEE THE STARS IN THE CLEAR NIGHT SKY WITH THE ADDED BONUS OF A SHOOTING STAR JUST LEFT OF CENTER!! I find it creepy that a star decided to enter the atmosphere at the very instant I snapped a shot of the grave! With that in mind & the skull-like mist, we've got quite a haunted spot. It gives me shivers to think something was there in my precense. Something that did not want to be photographed until the second try. Lucky thing that I developed that last strip,huh? Hi, my family and I visited the Mansfield Reformatory on Sunday, August 27th. I think this is an orb above the light fixture?? Or is it just dust? ok chuck, i'm glad you got the picture if the gore orphanage ghost, but i notice you are having trouble spotting the boy. if you can, just enlarge the photo and check out the right side where i circled him. he's dark haired with a white shirt and dark pants - very vague but he's there! blink your eyes a couple times and try not to strain so hard. anyways - i wanted to tell you about that Fairport Harbor ghost tour. well, guess what?? i work as a dj at one of the tour hot spots, Fritz's Roadhouse Bar. i sent you a picture of how pictures develop when taken in that bar. 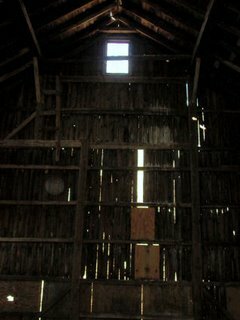 also i have personally witnessed lights going out, faces in the wood grained doors and chills from the eerie basement. that place is creepy. if you have any questions about that bar, or other Fairport spooks, just ask. I used to live there too! on another note - included are pictures of the schoolhouse off of Booth Rd. & the Witches Grave just around the corner from it. there is mist around the grave, but that night was clear. i know it sounds like i'm just obsessing, but if you visit these places, you'll know what i mean. Lastly, i have included pics of the bridge on Wisner Rd. Notice the streaks of light? Well, there are houses behind the bridge, but it was midnight then and the homes were dark. 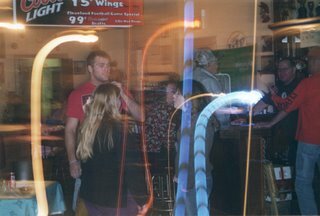 my camera, by the way, is a brand new Canon & i use 800 speed film, so these pics are something else! i hope you can show this entry on your site. i bet you'll get a lot of hits! thanks again - chris. P.S. THE PICTURES FILE NAMES ARE INCORRECT BUT I'M SURE YOU'LL BE ABLE TO IDENTIFY WHICH PIC IS WHICH. . . I have a story about the melon heads from Chardon. You see the pictures that you have by the bridge is on the wrong end of Wisner Road. Wisner Road was washed out by Wisner Creek about 30 years ago. You see I am have lived near the melon heads all my life.The melon heads live on the north side of Wisner. You must get to this section of Wisner Road by traveling down Mitchell Mills. You see Melon Heads have all been contained and are living with the aid of the government. There is a building on Mitchell Mills Road that has an electrified fence that is 20 foot tall. This is were the Melon Heads live. If you come visit you will be most likely approached by a Park Ranger. Please look at this ranger. He is not a ranger but a secret government agent in disguised as a Park Ranger. They have a military haircut and carry weapons that are unimaginable for any park. Also there is not park within 15 miles of this area. We believe that these so called Rangers have a license to Kill. This is an expiations for numerous disappearances in our area. The residents believe that we have figured out what the melon heads are. They are descendants from the Aliens that were transferred from Roswell and Hangar 18 near Dayton. I am a fan of your site and i was wanting to plan a trip to Rouges Hollow. I have read Russell frye's book and got some what decent directions to the hollow. But i think someone at creepy cleveland might have current directions since the book was published in 1958. I would becoming 71 south and i think i will take 94 into through wadsworth in doylestown. I am writing in response to those who refuse to believe that anything happened. I have gone to Gore Orphanage on many occasions. Sometimes because I want a thrill, other times because I want to show it to my friends. I love that place. Nothing in the world scares me more than Gore Orphanage. I have at least been there about 6 or 7 times, since December of 2006. There have been times where I've gone and nothing has happened. Sometimes, you need to be lucky to get something to happen. One of my most memorable moments at Gore Orphanage is when I went with six people. Four of them hadn't been there at the time, so it was kind of a thrill for them to go because they didn't know what to expect. My boyfriend and I arrived at the remains, and I was standing on a squared looking rock looking into the hole where you need to go in [we couldn't go in because it was flooded]. As soon as I stepped on the rock, I heard a little girl say hi to me. And then in a blink of an eye, all six of us heard loud gasps and a graveled laughter. Then, we heard foot steps of people running for us. 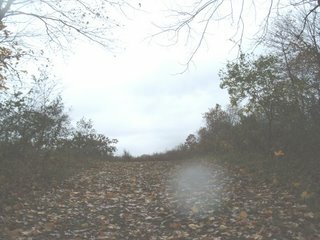 So, of course we started to freak out... but before I took off running, I took a picture of the area where we heard the laughter and in the picture 2 red eyes came up. I will have you know that there was NO animal in that area, because we looked. There was nothing over there. Just a fallen tree branch, that was it. However, I would like to warn everyone to NOT go during deer season. The park rangers are on night shift there and are watching the area for deer hunters and fishers... and probably curious teenagers who are killing time for a thrill. I should know because we went a couple nights ago and the crazy ex sheriff and a park ranger found us and made us leave. Also, on our way home that night, I was looking at the window and a little picture of a flower was on my window. No kids have ever rode in that car, and no one has ever rode in the backseat, at least where I was sitting. Strange? Yeeeeeees. In my teenage years I made many trips a took a few trips out in melonhead country. I remember having to cross a very narrow bridge to get to Doc Crowe's. 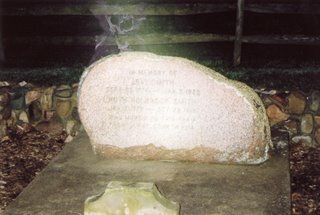 One thing I can attest to is a stone marker with the name Crowe on it. Unfortunately this was before camera phones so we never took pictures. I didn't believe most of the stories I'd heard but that place sure was creepy anyway. I wouldn't want to walk around there at night alone. any questions? ive spent many hours there having lived only a mile away, ive been in almost every abandon building, sent you some pics from this past wekend,abandoned house where the school bus was, and barn before end of the world, and by the way the school bus said "west minister abby"
I hope this gets posted. I have been intrigued by the story of Gore Orphanage since I read about it years ago. Yesterday, I finally visited the location. I took camera's and shot pictures of every interesting angle I could. The stone pillar, the rocks, the river and one of the corn field. I found, in one photograph, an image of a ghost boy. Very Creepy. Check it out - decide for yourself. I also found a masonry nail on the site. I heard a noise and looked in the direction. . .I bent over, moved a rock and there it was. All rusty and corroded. I kept the relic as a souvenir. I heard children laughing, and maybe a grunt or moan. It was all very faint, and it was daytime, but it was enough to keep me interested. Also, a stone fell from the sky. As if maybe someone was up in a tree trying to prank us. Well they succeeded. I jumped 3 ft. and my friend's and I all kinda laughed it off. Lucky it didn't hit me, I'd have been the thing to be afraid of then! 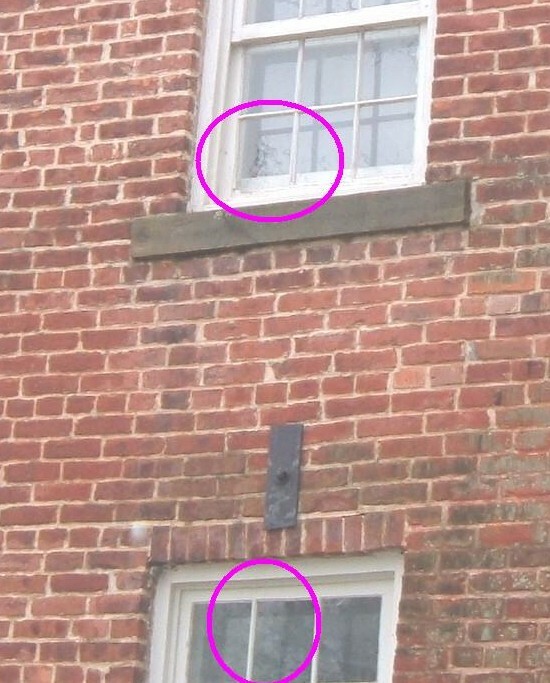 Anyways, I hope these pics illustrate the factual evidence of a ghost boy ( Jacob? ). You decide. 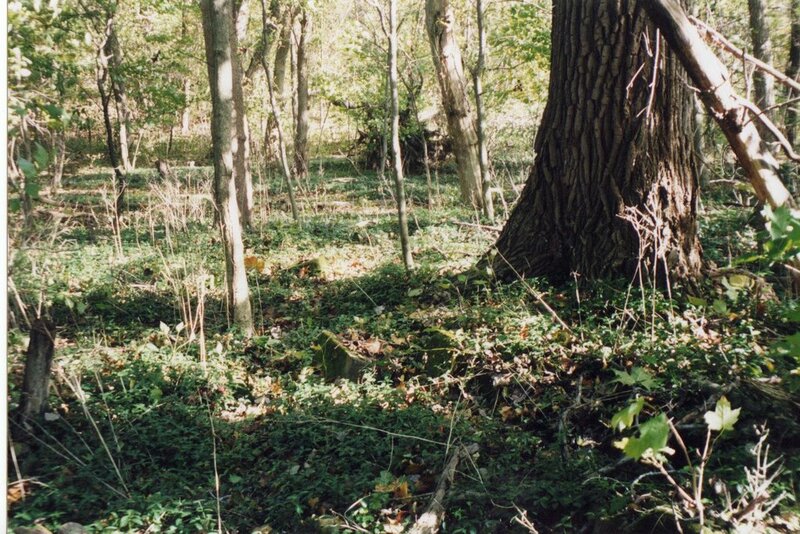 THE GHOST IS LOCATED IN THE RIGHT SIDE OF THE WOODS IN THE PIC. 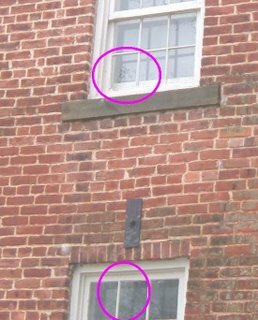 I CIRCLED IT WITH A FAINT BLACK OVAL CIRCLE. THERE MAY EVEN BE ANOTHER BOY STANDING NEXT TO HIM. SPOOKY AS HELL. We are shooting a movie about, and called The Melonheads. I was wondering if you could put a banner linking to themovie website. www.melonheadsthemovie.com. let me know.